Malala Yousafzai, the Pakistani girl who was shot by the Taliban in 2012, is a well-known face in the media. Even those who do not know much about her have strong opinions about her. Of course, unlike many of her counterparts’, Yousafzai’s rise to fame did not come about by her success in the show business. Moreover, hers certainly would not be the preferred route to media appearances and magazine covers. 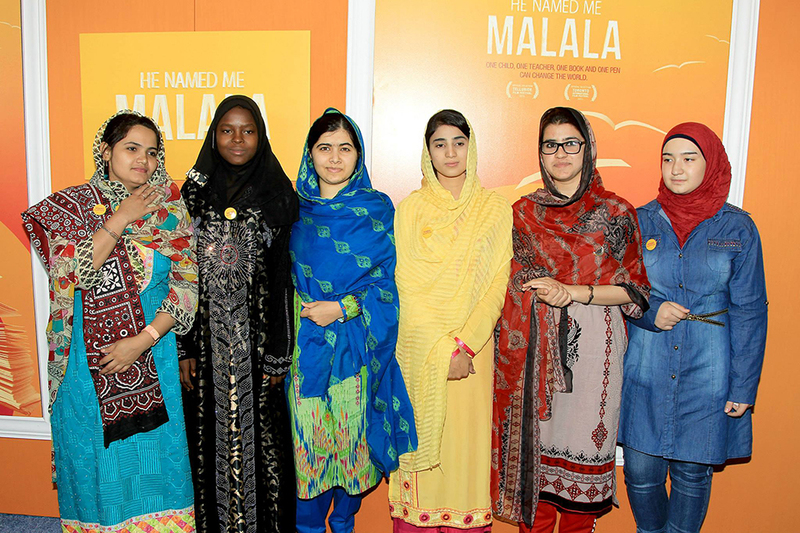 Davis Guggenheim’s new documentary “He Named Me Malala” feels like a refreshing take on Yousafzai’s familiar story in its attempts to explore Yousafzzai as an ordinary girl. She is the youngest Nobel laureate, winning the 2014 Nobel Peace Prize at the age of 17 “for her struggle against the suppression of children and young people and for the right of all children to education,” but her achievements have a secondary role in the documentary. The funniest and the most heartwarming scenes in the documentary show Yousafzai at home with her family and friends, performing a simple card trick or arm wrestling with her brother. In between heavily emotional scenes exploring Yousafzai’s past and present activism, there are clips of Yousafzai looking up photos of the sports players she has crushes on and talking about her personal struggles since moving to England. “He Named Me Malala” follows a non-linear storyline, which is a bit confusing and patchy yet helps cover many topics — some only in passing — in less than 90 minutes. Coupled with the beautifully illustrated animated sequences, this technique produces the aura of a bedtime story. In some ways, the documentary is as much about Yousafzai’s father as it is about Yousazfai herself. Ziauddin Yousafzai is the “He” in “He Named Me Malala,” having named his daughter after the folk hero Malalai of Maiwand, who in the 19th century rallied local fighters against the British troops. The origin of her name naturally evokes the question of how much of M. Yousafzai’s personality was fabricated by her father.